/ About MMH / Why Choose MMH? Your safety is our No. 1 priority. That means when you step foot in our hospital, our goal is to protect you from unnecessary errors, injuries, accidents and infections. At MMH, we have a patient safety team that monitors our outcomes and continuously improves processes to ensure you are as safe as possible during your stay. We are committed to reducing infection rates, preventing medication errors and ensuring effective communication always takes place between caregivers, patients and families. MMH is proud to be recognized, on both the state and national levels, as a leader in health care. We believe our awards, certifications and accreditations demonstrate our commitment to excellence. MMH was named a Top Quality Provider for Patient Satisfaction in 2018, meaning the hospital's patient satisfaction scores rank in the top 10 percent nationwide. CareChex® Learn more. MMH was recognized for overall excellence in quality of care out of 2,156 rural providers. 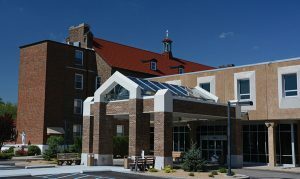 The ranking was based on the Hospital Strength INDEX, the industry’s most comprehensive and objective assessment of rural hospital performance in the United States. The Chartis Center for Rural Health and the National Organization of State Offices of Rural Health. Learn more. The hospitals that are named to this list are top performers in managing risk, achieving higher quality, securing better outcomes, increasing patient satisfaction and operating at a lower cost than their peers. The National Rural Health Association's Rural Health Policy Institute, iVantage Health Analytics and The Chartis Center for Rural Health. Read story. MMH was recognized for its efforts at making employee well-being a priority in the workplace. A well-organized wellness program leads to less illness and injury, as well as higher productivity and engagement. Wellness Council of Indiana.